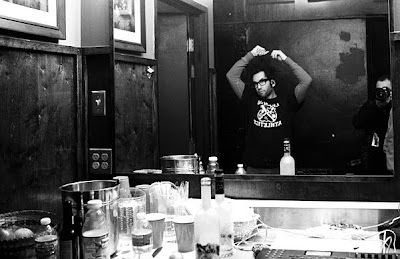 SPIN Magazine was in the TC for Motion City Soundtrack's first annual Popsickle Fest last Saturday at First Avenue. The lineup also included Minus the Bear (which includes Minnesota native Erin Tate) and Foxy Shazam, as well as up-and-coming bands like Chicago's Gold Motel and Minneapolis acts like Take Cover, Party House, The Chord & The Fawn, Gospel Gossip, and Now, Now (formerly Now, Now Every Children), and Justin Pierre of MCS' side project Farewell Continental. They have a slideshow of images from the show and backstage.